Traditionally a complex dish made up of a plethora of spices, curry is as tasty as it is versatile – which is perhaps why it’s become such a classic. 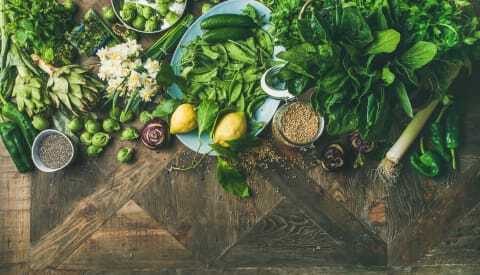 When we think of the word ‘curry’ our mind may automatically flit towards visions of Indian recipes, but there are actually many other variants of this cuisine that all present brilliantly diverse flavours. 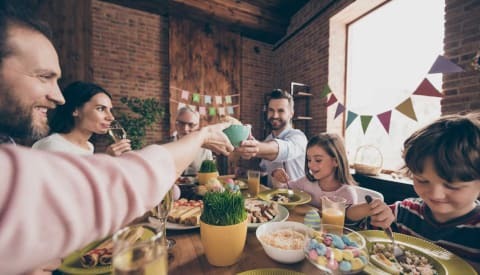 Curries are also a huge hit with vegetarian and vegans of the world due to their ability to accommodate almost any vegetable not only as a substitute, but as a real headliner in the dish. As huge lovers of curry here at Cauldron, we’ve put together a vegetarian and vegan curry guide to share our tips and tricks to excite your taste buds. Come with us while we walk you through curries from around the world. Curry is a very traditional dish in the Indian subcontinent and the precise selection of herbs and spices for each dish can vary largely dependant on family preference, national or regional cultural tradition, or even religious practice. We’ve found that the type of spices used in curries like these lend themselves well to vegetable and meat-substitute recipes because they soak up the flavour incredibly well. We’ve included two popular dishes below. In the eastern area of India you’ll find Bengal where a mixture of mustard seeds and oil are often used in recipes, along with poppy seeds. 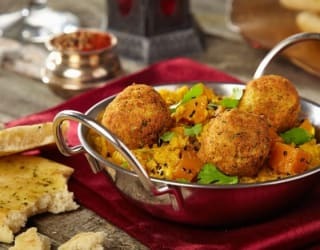 Interestingly, emigrants from a region of Bangladesh actually founded the curry house industry we have in Britain today and out Bengal butternut squash & chickpeas with naan is the perfect nod to the origins of Bengali cuisine. We’ve combined the classic flavours of the region with our Cauldron falafels to get a delicious but comforting meal. The Rogan Josh is a classic curry, fiercely beloved by all! The curry is a staple of Kashmiri cuisine, a region of South Asia and is most often paired with aromatic spices such as cloves, bay leaves, cardamom and cinnamon. 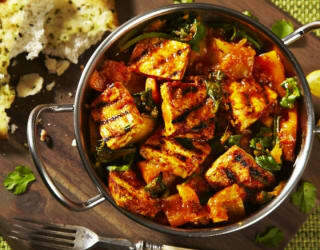 Traditionally the dish is cooked using a dampokhtak technique which consists of cooking it over a very low flame, generally in sealed containers with very few spices, and is normally what gives the curry such a rich, depth of flavour. 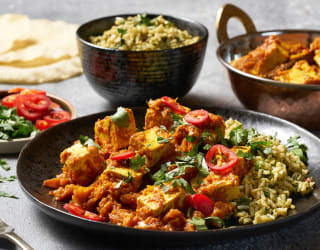 Our recipe may be a bit quicker than the traditional method, but out tofu rogan josh with chilli rice definitely still packs a punch full of taste. Thai food had a surge in popularity in the last ten years or so and we’ve seen a great deal of wonderful and authentic Thai restaurants pop up all over the country. Generally, curries in Thailand are called ‘kaeng’ and are made from chilli paste, onions and/or shallots and shrimp paste. In central and southern Thailand, there is often a lot of coconut milk used to give the curry more of a soup-like texture and depending on the region you visit, you’ll find local ingredients like kaffir lime leaves, galangal and lemongrass. However, if you’re looking to recreate the incredible tastes of Thailand at home, we’ve outline a family favourite below. Thai green curry is perhaps the most popular of all the thai curries, and it’s name is given from the green chillies used to prepare it. It can often vary on its spiciness, as well as it’s consistency, but usually it is made with coconut milk – making it a perfect curry for vegans. 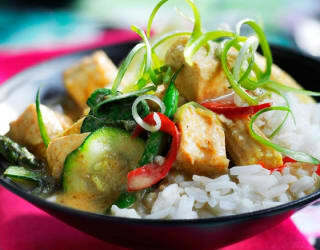 Out Tofu Thai green curry uses tofu to soak up all the delicious flavours of the curry itself, and is paired with green beans, asparagus to make it a flavourful and filling favourite! Japanese curry usually consists rice and vegetables served on one plate with a sauce that looks more like a thick stew as opposed to to something like a Thai curry. It’s often less spicy than traditional Indian curries and is a common canteen favourite in Japanese culture. The most commonly known is perhaps the katsu curry; and we’ve outlined how to make a vegetarian katsu curry with delicious pressed tofu. 1. Start by making the curry sauce. Heat the vegetable oil in a pan over a medium heat, add the onion, garlic and ginger and sauté until tender, for approximately 2–3 minutes. 2. Add the curry powder and stir until fragrant. Blend in the flour and cook for 2 minutes. 3. Slowly pour in the dashi, soy sauce and honey. Simmer, stirring occasionally until the sauce thickens. 4. Stir in rice vinegar and garam masala, cook for a minute and check for salt. Keep warm until ready to serve and then cook some rice. 5. For the crispy tofu, press the it and then slice into 1cm thick slices, dry the pieces well and sprinkle with salt. Leave on a clean tea towel for 10 minutes. 6. Place the flour on a plate and season it with a pinch of salt and pepper. In a wide soup plate, add the egg and beat with a pinch of salt. Place the breadcrumbs in a large, shallow dish. 7. Roll each slice of tofu in the flour, then the egg, then the breadcrumbs to coat and In a large frying pan, heat enough oil to fill it about 1.5cm deep. 8. Shallow fry the tofu for around 2 minutes on each side or until golden, then place on kitchen paper to drain. 9. Serve with sliced spring onions or shallots and some julienned carrot. Curry recipes are some of the most versatile dishes out there, they can be as easy or as complicated as you want them to be depending on how much time you have to spend on them. Luckily, here at Cauldron we make it our personal mission to cater for everyone, whether you’re looking for a quick and easy bite or something you will give you a challenge in the kitchen. If you want to find more of our curries, you can download our free curry recipe cookbook below. To celebrate national curry week this October, we also surveyed our fans to find out which curry was a favourite among vegetarians and vegans. We surveyed over 500 people and gave them the chance to choose between a balti, a rogan josh and a jalfrezi. We want to say a massive thank you to all of those who took part in voting and are happy to announce the winner below! The final result was a close one, and is perhaps telling of how curry is an incredible taste sensation for whatever you’re cooking! If you are looking for a fantastic vegetarian and vegan jalfrezi recipe, we’ve created a bespoke one that’s perfect for this week’s curry celebrations.